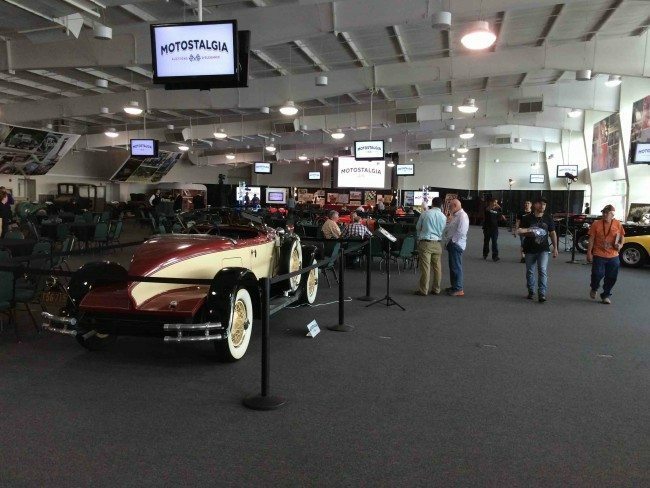 For a second year at the Brickyard, the SVRA vintage racing event in Indianapolis will feature an auction of fine collector cars arranged by Motostalgia. 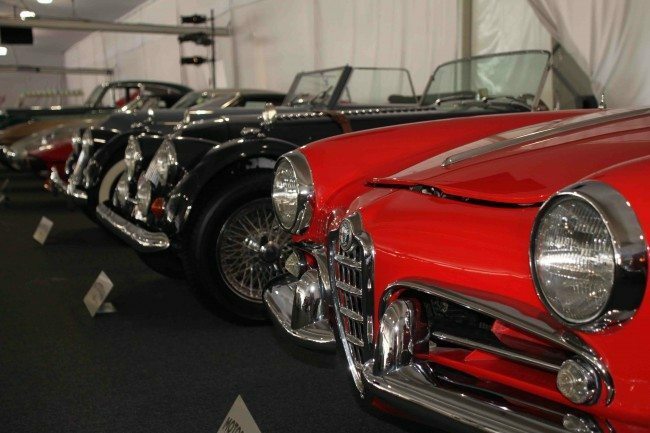 Join Heacock Classic onsite all weekend, and check out both historic vintage race cars and classics for sale at the same venue! The Motostalgia Collector Car Auction Company announced that two superstars of motorsport, four-time Indianapolis 500 winner Al Unser and NASCAR champion crew chief Ray Evernham, will headline their auction at the Indianapolis Motor Speedway during the Sportscar Vintage Racing Association (SVRA) Brickyard Invitational on June 18. Both auto racing giants will offer one of their personal prized vehicles to support charity. 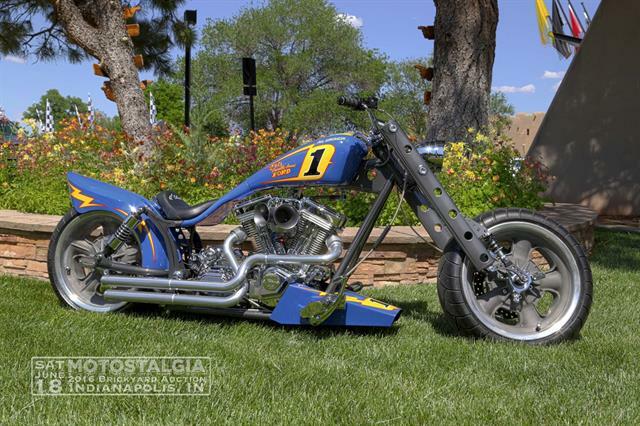 Unser is offering a one-of-a-kind Pro Street Motorcycle constructed for him in 2009 by Racing Innovations of Oklahoma City, using parts from Indy and Sprint cars once driven by Unser, including real knockoff spindles and injector stacks from his Sprint Car. The two-wheeler was built for Unser as a tribute to his 1971 Indianapolis 500 victory in the Johnny Lightning Special. 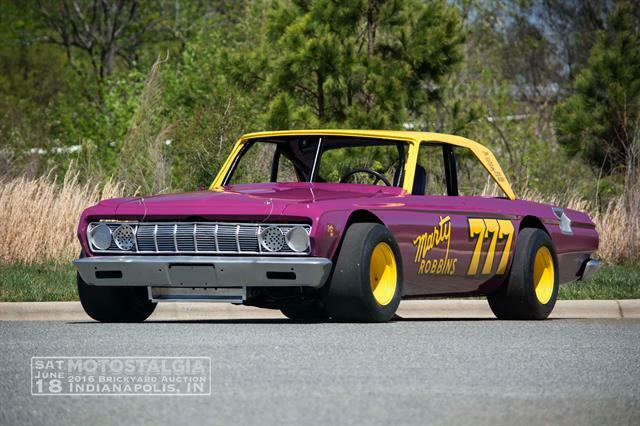 Evernham is auctioning four racecars but the one he is selling for charity is his ex-Marty Robbins 1964 Plymouth NASCAR Modified Sportsman. Robbins, a country music superstar in the 1960’s and 70’s, raced part time in NASCAR Winston Cup. He scored five top-ten finishes and had two appearances in the Daytona 500 in a driving career that spanned 1966 to 1982. Robbins raced the car at the Nashville Fairgrounds Speedway. It retains his original seat, pedals and steering wheel as well as the frame, roll cage and suspension parts. This year’s Brickyard Invitational Motostalgia auction will be limited to 85 rare collector cars and historic racing machines. Among the race cars are two that competed in the Indianapolis 500 for owner Kent Baker, who is also donating some of the proceeds to charity. The cars are a 1987 Lola driven by Mario Andretti twice during that season and a 1986 March in the livery of Unser’s 1987 Indianapolis 500 winner. Among the outstanding collector cars that will be available are a 1953 Porsche Pre-A Coupe prototype and a 1924 Isotta Fraschini Tipo 8. The auction will take place June 18 between 5 pm and 9 pm in the IMS Pagoda Plaza. The Brickyard Invitational offers a festival of racing activities. The feature event of the weekend is the “Indy Legends” Charity Pro-Am. 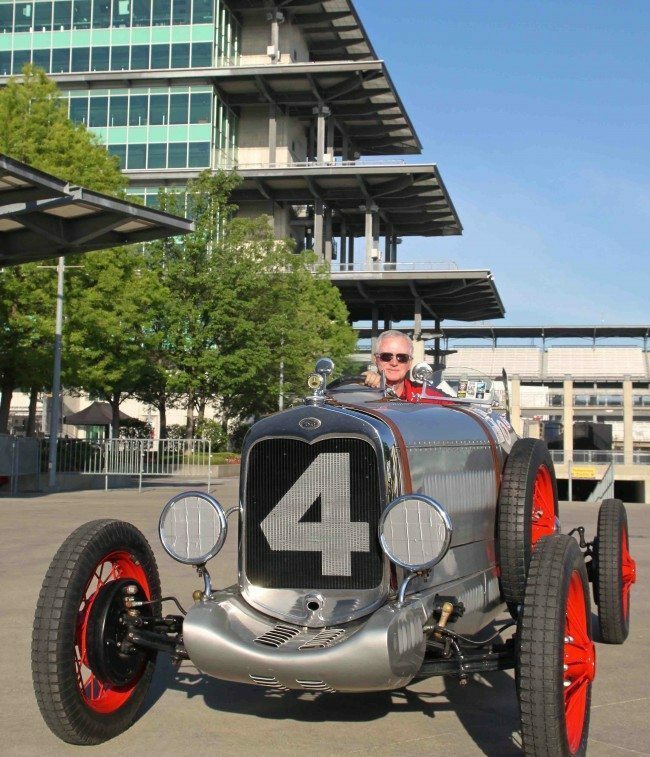 A field of 33 Indianapolis 500 veterans, headed by two-time Indianapolis 500 winner Al Unser Jr., will compete in a 40-minute competition of American muscle cars on the Speedway’s 2.43-mile Grand Prix road course on Saturday, June 18. 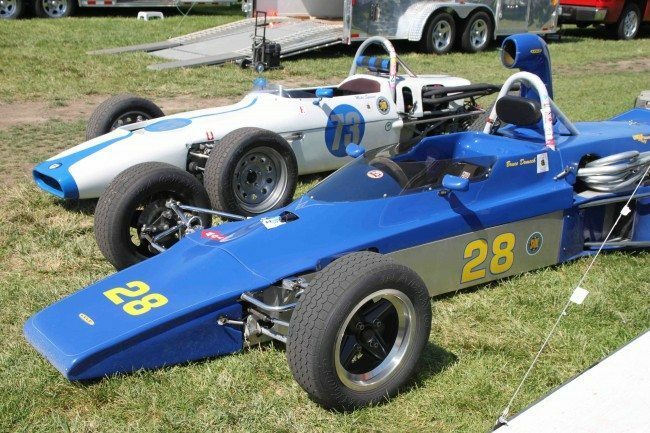 The SVRA will present exhibition runs on the storied 2.5-mile oval including several 1950’s Indianapolis 500 roadsters, and the Car Show has been expanded out onto the golf course. Series sponsor Jaguar will have Indianapolis 500 veterans Davy Jones and Roberto Guerrero on hand to coach anyone with a valid driver’s license in mastering an autocross course with their latest model performance cars. Saturday evening entertainment includes a concert by “Three Dog Night” capped off by a trademark SVRA mega-fireworks show. Join Heacock Classic at The Brickyard for all the fun!